Linda Fuselier received her Ph.D. from the University of Kentucky, but we won’t hold that against her. She joins us by way of Antioch College and Minnesota State University. Her current area of research is bryophyte evolution and biology education. As a teacher, she is especially interested in the learning that occurs when civic engagement and informal science education are incorporated into undergraduate science courses. Fun fact: On occasion, she can be seen with a chainsaw, cutting through frozen ponds in search of dragonfly larvae. Professor Li earned her Ph.D. from the University of Illinois at Urbana-Champaign. She did her postdoctoral research at Columbia University where she was an associate research scientist before coming UofL. Her research focus is on understanding how motions in protein molecules affect their biological functions. Fun fact: At any given time Professor Li has countless windows open simultaneously on her computer screen; people asked her how I she manages to keep track. Apparently, it’s quite a sight! Professor Edison also received his Ph.D. from the University of Kentucky and most recently he served as chair of the language department at Anne Arundel College. His current research is on African-Caribbean spirituality in contemporary Latin American narrative. Fun Fact: Professor Edison once was a backup singer with the British-American band Foreigner. Professor Ortiz-Loyola received her doctorate at UCLA and was most recently (and appropriately!) at Loyola University in Maryland. Professor Ortiz-Loyola's research is on the interplay of race, gender, class, and nation in the Caribbean. She is currently working on the dilemmas of identity that rise there when one is both black and Hispanic. Professor Ortiz-Loyola originally practiced law in Puerto Rico. After moving to the U.S., she discovered that her true passion was literature. Professor Johnson comes to us as one of our three new assistant professors of Rhetoric and Composition. 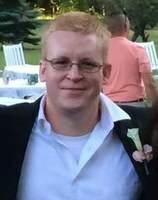 Most recently, he was visiting Assistant Professor at Roger Williams University while finishing his Ph.D. at the University of Wisconsin-Madison. His current research is on Organizational Rhetoric. Andrea Olinger has just finished her Ph.D. in English with a concentration in Writing Studies at the University of Illinois. Her research area is writing styles in different academic disciplines: how they are taught, learned, practiced, and perceived. Fun Fact: Since age 12, she has kept an annotated list of every book she has read for pleasure. Professor Turner joins us from the University of Delaware, where he trained in its nationally renowned Writing Center. In addition to teaching Rhetoric and Composition, he is already generating student excitement - and enrollments - with his interest in graphic novels. [Not so] fun fact: After driving 700 miles from Delaware to Louisville, and being only about 10 miles shy from his new home, a Louisville driver rammed into his jeep. His subsequent experiences have borne out his initial suspicions that Kentucky drivers are among the nation's worst. Welcome to Louisville. Professor Stevens is finishing up his Ph.D. at the University of Florida. His current research interests include integrated modeling and quantitative spatial analyses of human-environment, socio-ecological systems and natural resource management; and land change science. Fun fact: He loves soccer and is a big Liverpool fan. And unlike Luis Suarez, he doesn’t bite. Qualifier: Luis Suarez just went to Barcelona. Professor Omer-Sherman is UofL’s first Jewish Heritage Fund for Excellence Endowed Chair of Judaic Studies. He earned his Ph.D. in English from the University of Notre Dame. After several years at Saint Louis University in Madrid, Spain, he returned to Notre Dame as full professor of English in 2009. Professor Omer-Sherman has been the recipient of numerous awards and honors. Fun Fact: A California native, he moved to Israel in 1975 at age 17, where he was a founding member of a kibbutz, served as an IDF paratrooper , and worked as a desert guide in the Negev and Sinai. 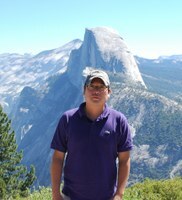 Professor Gung-Min Gie comes to us from a post-doc position at Indiana University where he also received his Ph.D. in 2010. He also spent 3 years as a post-doc at UC Riverside. Professor Gie works in the area of numerical and computational mathematics, with an emphasis on partial differential equations and fluid mechanics. He is already funded by a joint NSF grant with faculty from UC Riverside. Fun fact: Professor Gie and is gifted not only in mathematics but also painting; one of the first things he did was paint his office. 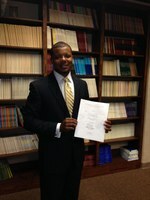 Professor Aaron Hill just completed a 3 year post-doc at the University of North Texas. Before that he received his Ph.D. in Mathematics from the University of Illinois Urbana-Champaign in 2011. He also holds an Ed.M. in Curriculum and Instruction from the same institution. His research interests are in the area of Descriptive Set Theory, Ergodic Theory and Topological Dynamics. He recently was awarded a travel grant for joint research by the American Institute of Mathematics. Fun fact: In 2009-10, he taught a class of fifth graders in preparation for the Math Olympiads. Judith Danovitch received her doctorate from Yale University in 2005. She has been teaching at UofL since last spring and comes to us from Michigan State University, where she was Assistant Professor. Her research area is cognitive development of children, particularly how children seek out and evaluate knowledge throughout their development. Fun fact:she has appeared on Jeopardy! 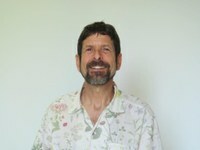 Professor Depue received his Ph.D. from the University of Colorado at Boulder where he was also a postdoctoral fellow. His current research in neuroscience focuses on neuroimaging the processes of memory and emotion. Fun fact: He loves to cook. 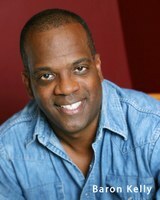 Professor Kelly received his Ph.D. in Theatre from the University of Wisconsin-Madison. Currently, his research focuses on the great 19th century African-American actor Ira Aldridge and his influence on European and Russian theatre. He has the distinction of being a three-time Fulbright Scholar and an elected member of the National Theatre Conference. His film and television credits are numerous. Fun fact: He is also a professional drummer. Professor Jones has an M.F.A. from the California Institute of the Arts (CalArts), School of Critical Studies and an M.A. in Performance Studies from New York University. His critical/creative focus is the performance of contemporary African American culture with particular emphasis on the performance of black masculinity in American society. 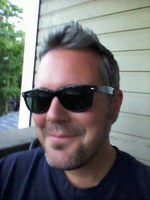 An interdisciplinary creative, Johnny explores multiple forms and disciplines in his writing, pedagogy, and performance. Fun fact: Professor Jones has seen Prince live three times. Seeing Prince in concert is a ‘bucket list’ item that never quite seems to get scratched off. Professor Rollins earned his Ph.D. in Public Policy and Public Administration from Mississippi State University and started his position here at UofL last spring. His research examines issues pertaining to social equity, organizational effectiveness, human resources, education policy, and the politics of race. Fun fact: The first summer after starting his Ph.D. Program, he a golf enthusiast. His obsession is primarily because golf is that bugaboo that no matter how hard he tries to master it, he continues to come up short! 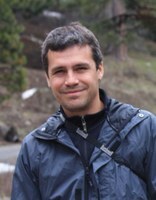 After receiving his doctorate at the University of Pennsylvania, Professor Ruther became a research associate in the Department of Geography at the University of Colorado. His research focuses on small area population estimation, neighborhood growth and change, domestic migration, and spatial methodologies. Fun fact: Professor Ruther’s elementary school was located directly on the state line between Ohio and Indiana. Because Indiana did not observe Daylight Savings Time, going from one end of the school to the other meant traveling forward (or backward) in time. As a child, he found this wildly exciting.